After vehicle scrapping policy was approved by the finance ministry, it will now go in the GST Council for fixing concessions by the states and the centre. The finance ministry has approved the much-awaited policy to scrap vehicles that are more than 15 years old and the document will now go to the goods and services tax (GST) council, a person in the know said on Tuesday. The development comes barely a fortnight after road, transport and highways minister Nitin Gadkari has announced that vehicles scrapping policy, aimed at curbing rising vehicular pollution in the country, has almost been finalised. “Finance Ministry has approved the Vehicle Scrapping Policy. A Cabinet note is getting prepared. Now it will go in the GST Council for fixing concessions by the states and the Centre,” a person in the know of the development said. The GST council will decide the amount of concession that government of India (GoI) and state governments will offer, the person said. The road transport and highways ministry is keen on implementing the voluntary vehicle fleet modernisation programme (V-VMP) policy that aims at scrapping 15-year-old commercial vehicles in the first phase. Gadkari at an event in Delhi on Tuesday said the policy was needed to curb vehicular pollution as well as given the annual 22% growth rate of automobile industry that will require an additional highway lane every third year, costing Rs80,000 crore. He said once the policy is approved the country is bound to become the hub for automobile industry and the prices were bound to be cheaper as scrap could be used for production of autoparts among other things. 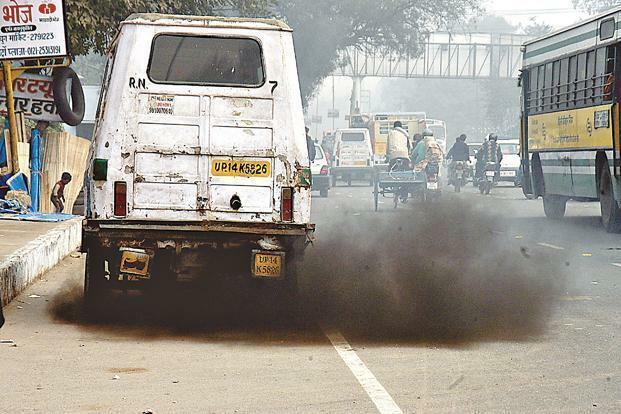 Earlier, the road, transport and highways ministry had sent a concept note on V-VMP to the committee of secretaries on creating an ecosystem for voluntary scrapping and replacement of old polluting vehicles. The V-VMP policy proposes to take 28 million decade-old vehicles off the road. Gadkari had earlier said that the Prime Minister’s Office (PMO) is keen on the proposal and once it is implemented, pollution would be checked considerably as 65% of the pollution is caused by heavy vehicles that are more than 15 years old. As per an earlier proposal, a relief of about Rs5 lakh was to be provided to people who purchase new commercial vehicle of about Rs15 lakh, if they surrender their over 15-year old commercial vehicles. Gadkari has said that once the proposal is accepted it is bound to result in Rs10,000 crore boost in tax revenue as the automobile sector will benefit from it. The draft V-VMP policy has proposed to bring under its purview vehicles bought on or before 31 March 2005, numbering about 28 million.